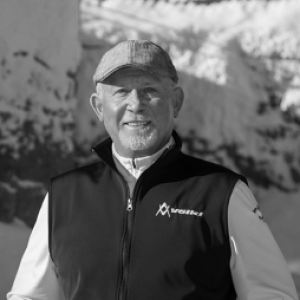 Ranked as one of the top performing brokers in Big Sky, Michael has helped clients buy and sell real estate throughout the Big Sky market for the past 9 years. Born and raised in Montana, he specializes in residential properties ranging from first time buyers to luxury custom estates, commercial properties and land development opportunities. Clients look for Michael's insight into local market dynamics, new construction and investment opportunities. His extensive knowledge of the construction industry enables him to successfully match the ideal property to each client's needs. They appreciate his unobtrusive style, negotiating expertise and ability to create a comfortable working relationship. Eager to give back to the community he so enjoys, Michael volunteers for Eagle Mount as well as the Big Sky Council for the Arts. Professionally he is a member of the National Association of Realtors, Council of Residential Specialists, and locally the Gallatin Association of Realtors. Michael is also a licensed fishing guide with the State of Montana. Michael earned his Bachelor's Degree from the University of Montana and attended graduate school at the University of Oregon.